The tools used to ring up sales have come a long way since the cash register. The first point-of-sale (POS) software for Microsoft Windows emerged in the early 1990s. POS systems have since evolved from souped-up cash registers that did nothing more than record sales into hubs for business management, operations, and analysis. The past decade has seen the rise of touchscreen interfaces, customer self-checkout stations, and payment kiosks. Technologies on the horizon include smart RFID chips for tracking merchandise wirelessly, and thin-client checkout terminals at that feed into a beefier central device. While such shifts will push retailers to upgrade their in-store systems, the rise of mobile e-commerce will challenge telecom providers to upgrade their infrastructure. As for the changes in the way consumers make and businesses take payments at the point of sale, near-field communications (NFC) is the most highly touted upcoming development. NFC will enable a shopper to wave a smartphone over a scanner instead of swiping a credit or debit card's magnetic stripe through a card reader. Contactless technology would enable stores to analyze consumer behavior and easily access data during a transaction that would help them entice customers with customized reward programs and coupons. Google is stepping into the wireless payment realm by testing its Google Wallet service on the Sprint Nexus S 4G phone, which runs Android 2.3. Still, widespread adoption of NFC remains at least several years in the future, according to most analysts' estimates. Merchants and consumers must have supporting hardware--payment scanners and smartphones--to make the sale. NFC will probably be common among big brands--such as Walgreen's and RadioShack--long before it reaches most small retailers. Meanwhile, small businesses selling wares online or on the road have an increasingly large array of choices for processing sales. PayPal rules e-commerce, while Google Checkout and other alternatives lag behind. The Square Card Reader and Intuit GoPayment smartphone attachments turn a handset into a mobile credit-card terminal, ideal for selling goods or services out of, say, a food truck or a mobile office. Yet traditional POS systems remain a staple in shops that have a physical presence. Big names in POS hardware include Dell, Fujitsu, HP, IBM, and MCR. Participants on the software side are Epicor, IBM, Intuit, MCR, Microsoft, Oracle, and SAP, to name a handful. Though software such as Intuit POS, which integrates with QuickBooks, may be just right for the local stationery shop, small businesses with multiple locations are wise to consider centralizing their POS systems to simplify reporting, data analysis, and inventory management. That's the challenge faced by the shoe seller in the case study, below. Taking centralization to another level, some vendors are experimenting with emerging cloud-based POS systems, such as those provided by Oracle. Yet brick-and-mortar retailers are among the last small businesses to adopt new POS technologies. "The needle hasn't moved very much," says Leslie Hand, research director for IDC Retail Insights. Nevertheless, she has seen more small businesses renewing their POS systems recently. And retailers have also been pushing to increase LAN and bandwidth limits inside their stores, often to support a move toward mobile POS and kiosks. 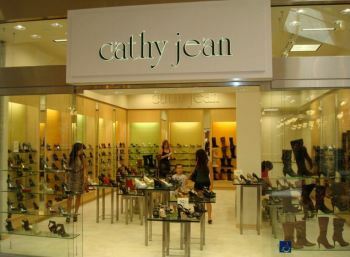 Cathy Jean Shoes sells women's pumps, sandals, and boots at 46 retail stores around the United States. Yet despite the brand's broad reach, its 200 employees continued to track sales and orders on paper. Clerks recorded transactions on sales slips, which each store manager faxed to headquarters at the end of each workday. At the end of the week, store managers collected records in a bag and mailed it to headquarters. There was no accountability, central management, or reporting capability; and crucial periodic tasks such as computing sales and inventory and producing reports took many hours. Worst of all, Cathy Jean Shoes was losing revenue to untracked inventory and theft. The company turned to the IT pros at Virtual Graffiti to improve efficiency and data security. Virtual Graffiti recommended centralizing orders and reporting, a process that would involve transferring sales data securely and accurately over the public Internet. One immediate challenge was to establish Internet access at the numerous Cathy Jean Shoes store locations within shopping malls. Though many malls offer Wi-Fi access to shoppers, high-speed Internet options for individual store tenants may be restricted or unavailable. Virtual Graffiti opted to use existing wiring that had been installed for landline telephones and credit card transactions to establish DSL Internet service. "All they had was phone lines--no ethernet or coaxial cables," says Ryan Lipschitz, vice president of engineering for Virtual Graffiti. "It was very manual and tedious." His team established an Internet connection at each store and secured it with a Sonicwall firewall. To reduce downtime, Virtual Graffiti remotely upgraded the existing firewall at Cathy Jean Shoes headquarters in Irvine, California. They then remotely walked Cathy Jean Shoes' staff through configuring each store firewall, and configured the modems to allow a direct connection to the firewall at all stores. With secure Internet access in place, Virtual Graffiti next needed to connect each store’s point-of-sale systems, which run MultiDev Chain Drive software on Windows XP computers. Virtual Graffiti connected each of the POS systems to each other and to headquarters via a secure VPN tunnel. All data transmissions are secure and meet all PCI Security Standards for transferring sensitive credit-card data. The tech overhaul took several months and cost approximately $15,000. The 35-year-old shoe seller now has instant sales reports, and the machines on the network are polled several times a day to check inventory and reports. "It's very satisfying to see everything working," says Lipschitz. "We tried to give them the power to manage the system moving forward." By updating its retail management system, Cathy Jean Shoes improved its customer service, enhanced its efficiency, and boosted employee morale by freeing its workers to go home on time at the end of the day. --Case study submitted by Virtual Graffiti. All recommendations and opinions expressed represent the independent judgment of the authors and do not necessarily reflect those of PCWorld or its editorial staff. Virtual Graffiti is an IT solutions provider and value-added reseller that specializes in network security for businesses, government, and education organizations. VP of Engineering Ryan Lipschitz has worked with companies of various sizes to find secure, cost-effective solutions, and he holds multiple IT certifications. You can reach Virtual Graffiti at 949-870-3500 and www.virtualgraffiti.com.